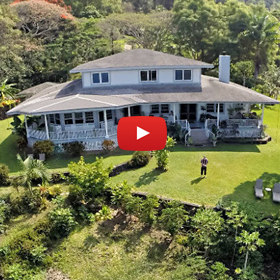 Ka’awa Loa Plantation is a Bed and Breakfast and a start-up coffee and tropical fruit farm conveniently located 8 miles South of Kailua-Kona in the heart of the Kona Coffee Belt on the Big Island of Hawai’i. 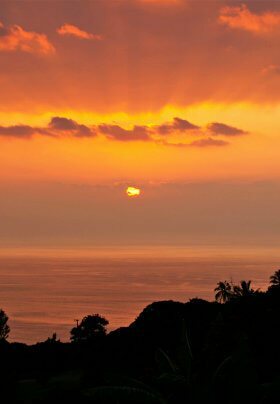 The 5-acre Ocean View estate is perched at the temperate elevation of 1,200 feet above sea level, directly above Kealakekua Bay. Our venue is an amazing spot from which to base your Big Island adventures! Area activities include swimming and snorkeling in the pristine waters of the Pacific, ocean kayaking, stand-up paddle boarding, hiking, touring coffee farms, and shopping in fun, eclectic local shops. Sacred Pu’uhonua O Honaunau (the Place of Refuge), Two-Step (snorkel area), Manini Beach, and historic St. Benedict’s Painted Church are all just a short drive away. Our Kona Bed and Breakfast accommodations provide an experience for everyone- choose from ocean-view rooms, a cottage or a luxury suite. Daily breakfast is included for all of our guests, and is served buffet style. It always includes fresh Kona Coffee and plenty of seasonal fruits from the Plantation and local markets. Guests are welcome to eat at the large kitchen table, or to sit at one of our many individual tables on our expansive lanai overlooking the Bay. 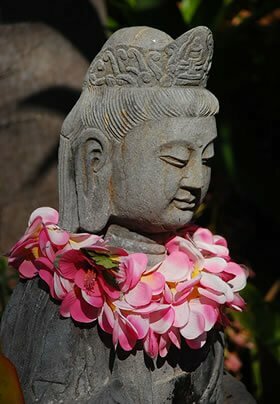 Enjoy our website, and we hope to welcome you “Big Island Style” soon! Considering a visit to The Friendly Isle of Moloka’i? Ask about Hale Maluhia – our OCEANFRONT 1-bedroom, 1-bath condo literally steps from the water’s edge. Located in East Moloka’i and Halawa Valley. Experience the romance and unspoiled beauty of Moloka’i’s Kalaupapa Peninsula, the Highest Sea cliffs in the world, Birthplace of Hula, the history of Father Damien, and the longest white sand beach in the state of Hawai’i. Inquire about Molokai rates and availability. As of May, 2016, Ka’awa Loa is now 100% solar for our electricity! Our new PV system feeds more electricity back into the grid than we use. We’re proud to have taken this big step to reduce our carbon footprint and to help conserve our beautiful planet’s resources!